Click the “Book Cabin #1” button to check out rates and availability. 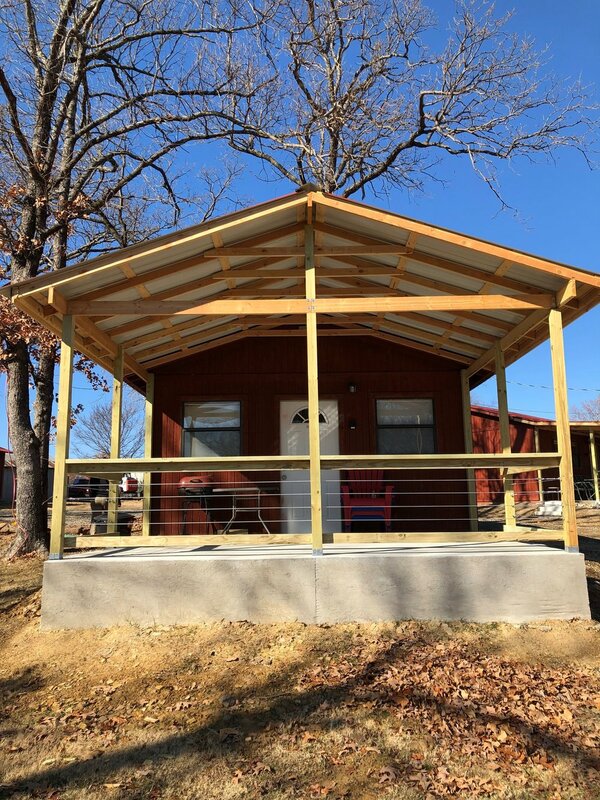 Cabin #1 is perfect for a couple get away, a girls weekend, or family get away on a budget. 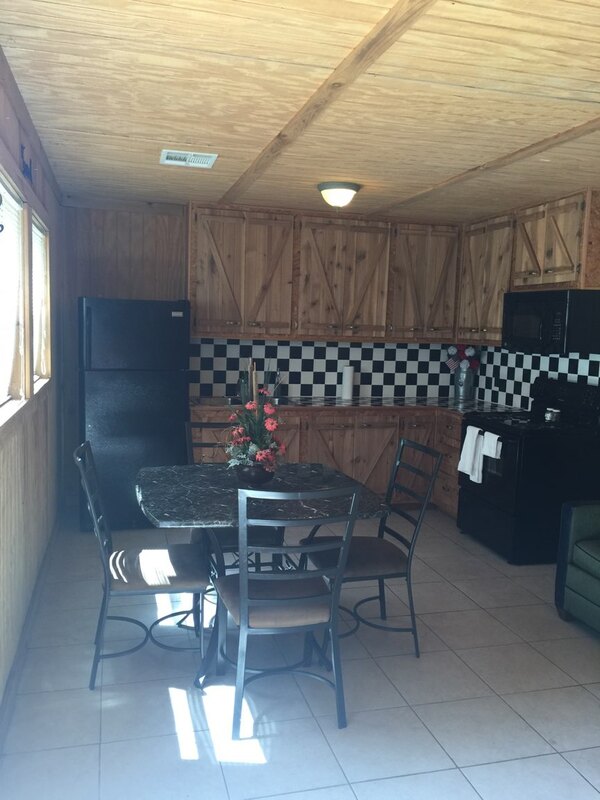 This cabin is fully furnished with linens, towels, stove/oven, refrigerator, cooking utensils, pots/pans and microwave! Queen size bed and fold out mattress, sleeps 4 comfortably. 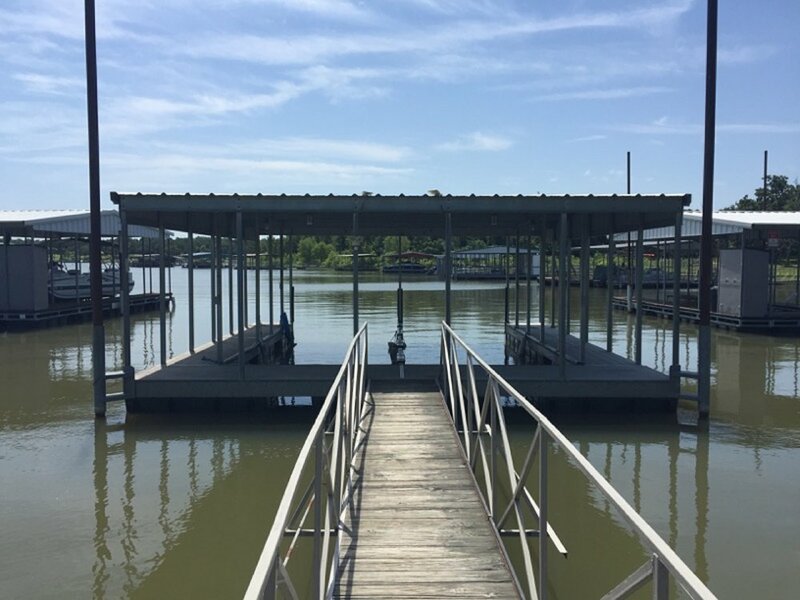 Boat slip and community boat ramp included in rental price. Click the “Book Cabin #2” button to check out rates and availability. Identical to Cabin #1. 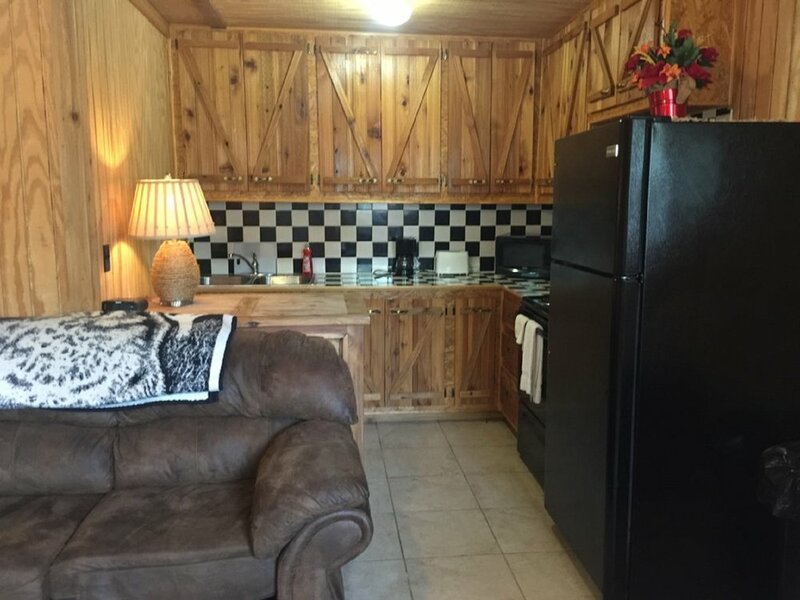 This cozy studio cabin would be great to rent out for additional friends and family! If you are needing something a little larger Cabin #3 is perfect for you! 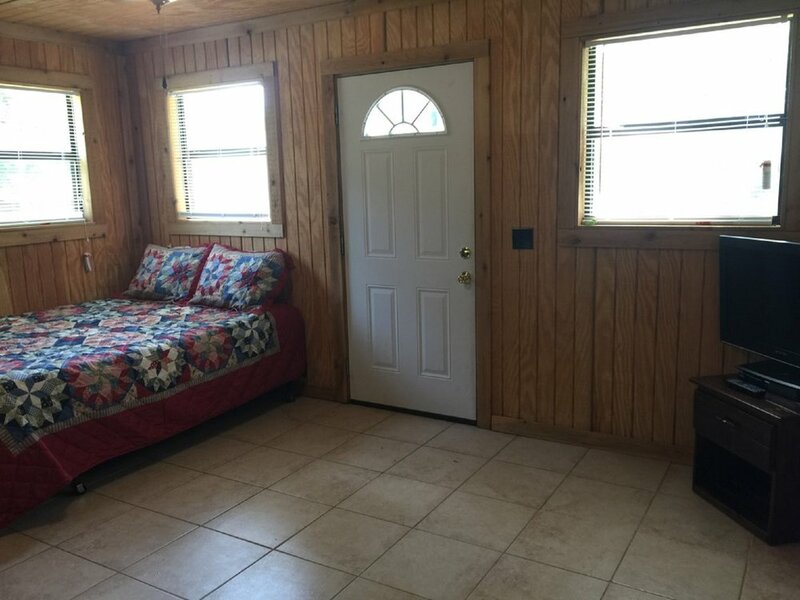 Cabin #3 has two bedrooms with queen size beds, along with two fold out couches. Click the “Book Cabin #3” button to check out rates and availability. The Sandcastle is the perfect vacation rental for a large family gathering or perfect couples retreat. 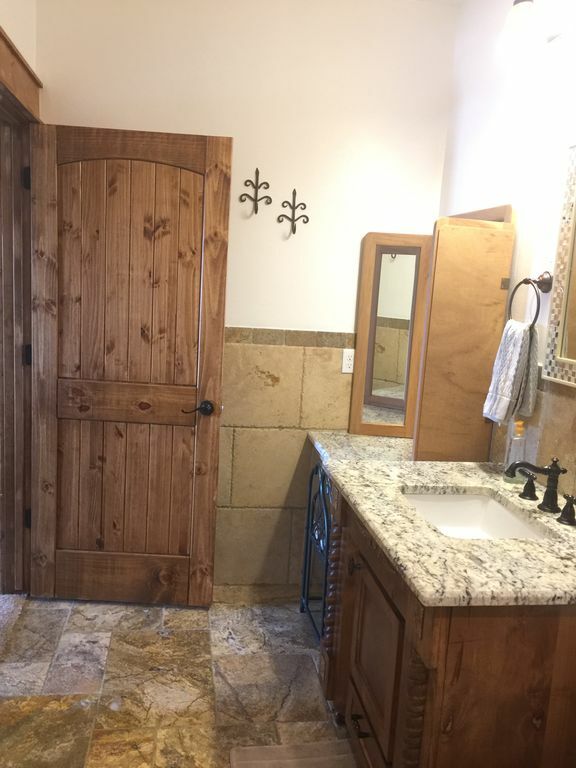 With five bedrooms, three bathrooms, and two half baths you will have plenty of room for whatever occasion. Sleeps 20 comfortably. New home, 3,400 square feet, fully furnished, open concept kitchen, living room, game room and an extra sleeping area upstairs. Two decks face beautiful Bixby Cove. 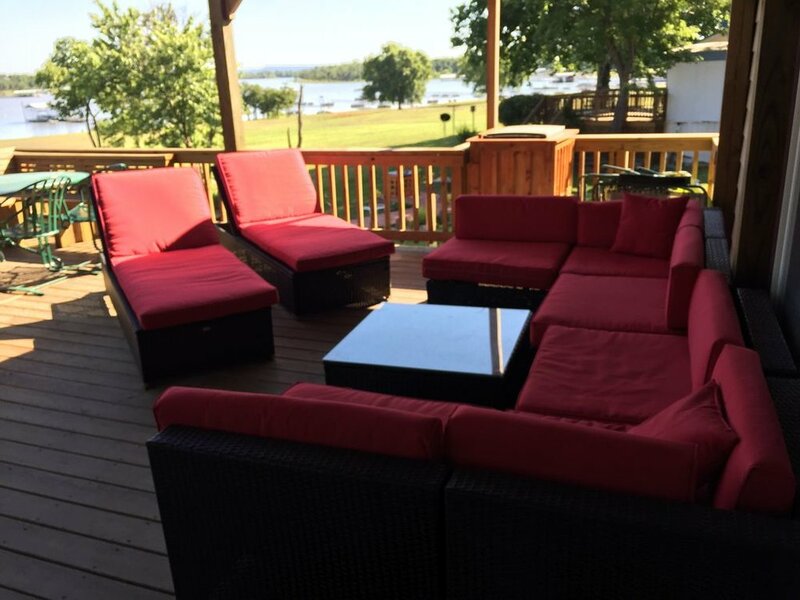 Water and boat ramp (available) short walking distance, boat ramp in community, extra parking available if needed.